Within the context of a three year applied research project conducted from 2003-2006 in a North American university library, staff were encouraged to reconsider organizational assumptions and design processes. The project involved an organizational leader and an external consultant who introduced and collaboratively applied Soft Systems Methodology (SSM) practice. 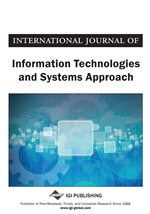 Project results suggest the efficacy of using ‘soft’ systems thinking to guide interaction (re)design of technology-enabled environments, systems, and tools. In addition, participants attained insights into their new roles and responsibilities within a dynamically changing higher education environment. Project participants also applied SSM to redesign ‘in house’ information systems. The process of employing systems thinking practices to activate and advance organizational (re)learning, and initiating and elaborating user-centered interaction (re)design practices, culminated in a collaborative design (co-design) approach that readied participants for nimble responsiveness to continuous changes in the dynamic external environment.